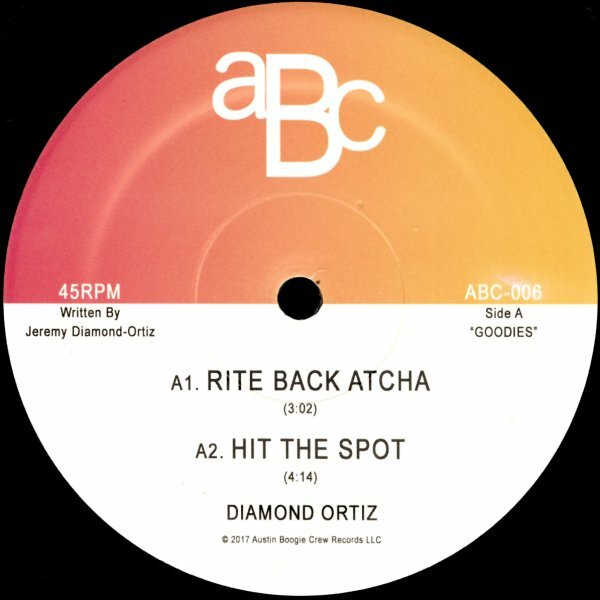 There's lots of 80s-styled groove acts around these days – but Diamond Ortiz may well be one of the best – serving up a record here that's very worth the title of "Goodies" it bears on the label! The set's only got four tracks, but has a wicked groove that takes us back to maybe some of the catchiest Motown funk of the early 80s – or maybe even some of the more captivating electro soul of the same time – the kind of grooves that are heavy on basslines and keyboards, but also have a solid sense of soul – and a great ear for a hook! Titles include "Goodies", "NBC", "Hit The Spot", and "Rite Back Atcha". © 1996-2019, Dusty Groove, Inc.